I consulted the Easter menu guru, my grandmother, for a good Easter recipe to present you. 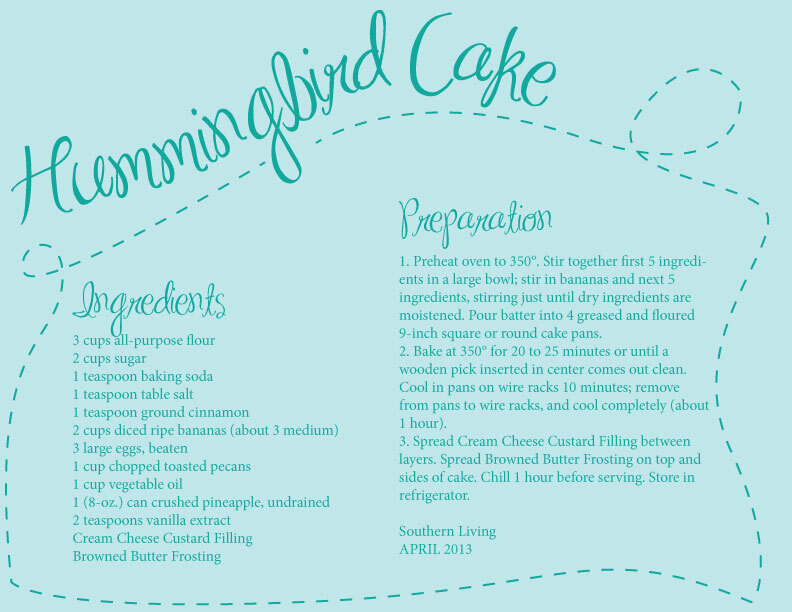 Really, our favorite is this timeless Hummingbird Cake via Southern Living. It's such a happy, springy cake and of course, delicious. It's our family's staple dessert when it comes to our favorite spring holiday. My grandmother says she loves the story in the most recent issue of the magazine about the story behind this cake. For the Cream Cheese Custard Filling, go here. For the Browned Butter Frosting, go here.